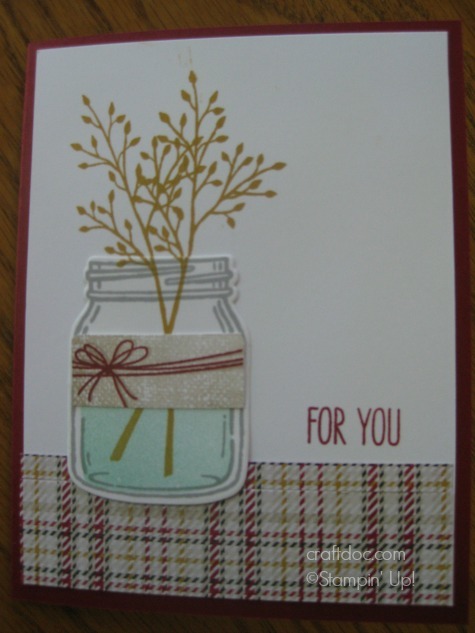 My second class card uses the Jar bundle to make a fall card with a strip of the Warmth & Cheer Designer Series Paper Stack. I love how many ways you can use these Jars! Tuck a 4” piece of lace behind the DSP strip (I added this after I took the photo). 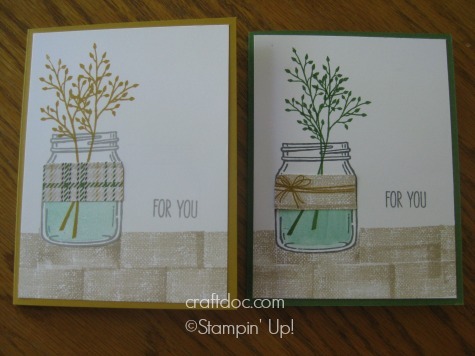 Stamp all 3 jars on a piece of Whisper White and cut with framelits. Stamp the water stamp with Pool Party on the front jar. Stamp the burlap strip and bow on a scrap and fussy cut. 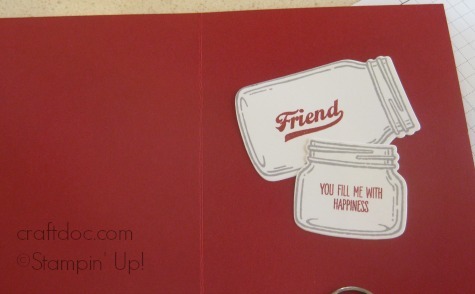 On the jars for the inside stamp “friend” and “you fill me with happiness”. Here are some of my prototypes, playing with this color combo.